LOU Felice got out of bed early to prepare his fruit shop, as he has done since 1964, first in Sydney and Brisbane, and then in Grafton since 1997. 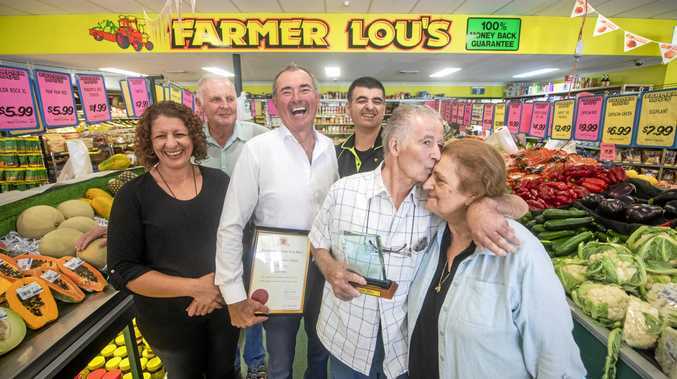 But one customer, member for Clarence Chris Gulaptis came with a special of his own today, surprising the humble fruit-shop owner to the applause of his many customers. Mr Gulaptis presented a NSW Government community service award to Mr Felice, who said he was humbled by the award and the attention. "It's unbelievable, it's a pleasure to receive a thing like that," he said. "We love to be with people, and I love to be in the food game and love to give them service, and that's why they love to come back in," he said. "It's the way we all present ourselves," he said with his family close by his side. "That's why the community they love us so much." The shoppers on hand agreed, greeting the award with a rousing cheer. "When you come in, there's a real spirit of people and community. It's lovely to be here," customer Stan Mussared said. Mr Gulaptis said his South Grafton store was the perfect venue for the presentation. "Lou set up in South Grafton when no one else would. 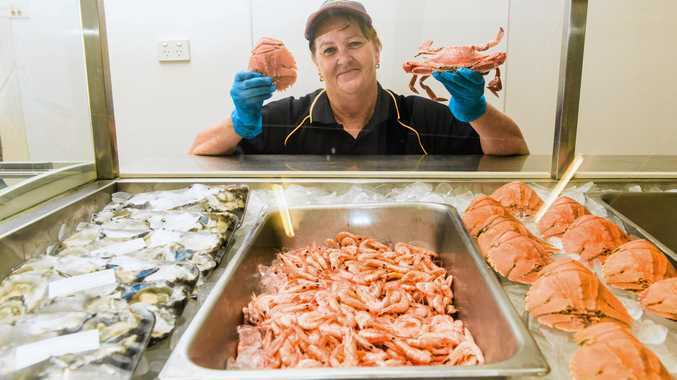 It is fair to say that bringing his business this side of the bridge has completely revitalised the South Grafton business district," Mr Gulaptis said. "Others have followed, but you led because you had the faith. "Like all great small business owners, you have taken risks with your own money, worked incredibly long hours with your family and been a model boss to your loyal staff."